“A federal appeals court in New Orleans ruled late yesterday that the state legislature can cut funds to abortion providers. The Texas legislature’s decision to cut funds to Planned Parenthood and other abortion-related organizations has overcome a court challenge. Planned Parenthood sued, saying the law violated its first amendment rights to free speech. However, yesterday the federal court of appeals unanimously threw out the free speech argument and agreed that Texas lawmakers may decide which organizations to fund and which not to fund. New Orleans, LA – A federal appeals court in New Orleans ruled late yesterday that the state legislature can cut funds to abortion providers. 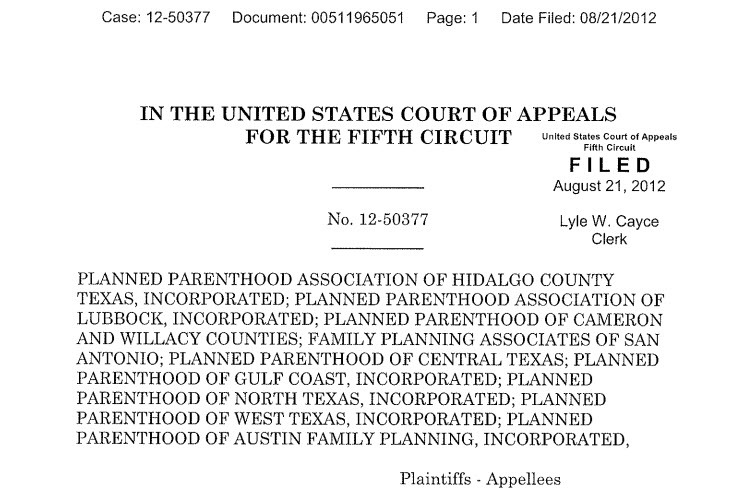 The Texas legislature’s decision to cut funds to Planned Parenthood and other abortion-related organizations has overcome a court challenge. Planned Parenthood sued, saying the law violated its first amendment rights to free speech. Additionally, the Obama Administration tried to force Texas into changing its pro-life rules by refusing to renew funding for Texas’s Women’s Health Program (WHP) in December, and a federal judge ruled that the state must continue funding abortion-linked organizations in May. However, yesterday the federal court of appeals unanimously threw out the free speech argument and agreed that Texas lawmakers may decide which organizations to fund and which not to fund. “This is a huge victory,” said Mat Staver, Founder and Chairman of Liberty Counsel. “This is a win for the unborn, for states’ rights, and for taxpayers. Our first right is the right to life. Without life, no other constitutional rights matter,” Staver explained. “Our founding fathers ensured that our state representatives would control state spending. The Texas legislature decides how to appropriate Texas revenues, not the courts, not powerful lobbying organizations, and not the President of the United States,” Staver continued. “Taxpayers should never be forced to violate their conscience and fund any abortion organization,” Staver said. Planned Parenthood, the nation’s top abortion provider, takes the life of an unborn baby every 96 seconds. The U.S. Government Accountability Office (GAO) reported that from 2002-2009 pro-abortion groups received over one billion dollars from the federal government, plus state and local grants. Planned Parenthood alone received $657.1 million in federal grants and contracts during that time period. ← Reality Check: U.S. Marine Held In A Mental Hospital Against His Will Because Of Facebook Posts?